Pets For Patriots exists to transform the lives of veterans by connecting to and assisting with the adoption of at-risk shelter dogs and cats. Their mission is to end animal homelessness while enriching the lives of those men and women who serve our country. 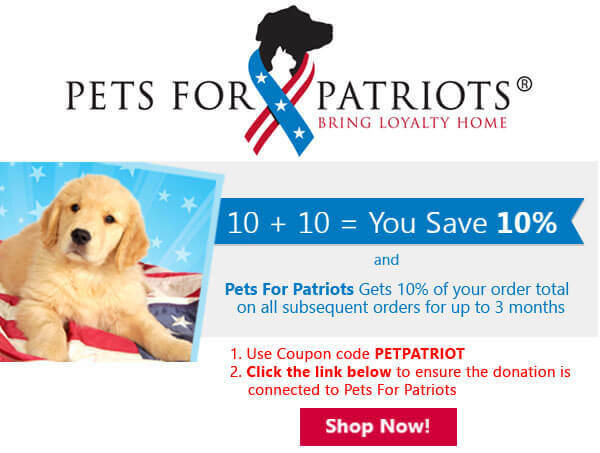 Everything Pets For Patriots does supports the adoption process and beyond. All while improving the well being of service personnel through companion pet adoption. Their official mission statement is to consistently give the gifts of fidelity, joy and companionship to both pet and person through honorable companion pet adoption.